The Colosseum - Fall 2018 is taking place today in Rome, Italy. This is a Dragon Ball FighterZ Radar event, so European hopefuls are trying to get their chance at grabbing a Dragon Ball at one of the remaining Saga events, with many of the strongest players in the region showing up. There will also be Street Fighter 5: Arcade Edition and Tekken 7 at the event. A few of the players set to compete are NidhoGG|Eifi, VSF|Rudi, Oplon|Skyll, LOK|Nivek and Yuzu|Murko, though there are many more where they came from as well. This is a one-day event, so once you tune in, just stick around until it wraps up. The action begins at 10 a.m. local time, which translates to 1 a.m. Pacific, 4 a.m. Eastern and 6 p.m. JST. The Mango: Homecoming is taking place this weekend, and as the name suggests it's a tournament organized by C9|Mango, with help from others of course. The event is taking place in Norwalk, California. There's a ton of Super Smash Bros. Melee action happening at the event, with the main focus placed on the Singles and Doubles tournament events. Over 350 players are signed up for Singles, so it's going to be a brutal battle to make it to the top. Some of the players set to compete are TSM|Leffen, C9|Mango, Tempo|Axe, CLG|SFAT, Tempo|S2J, Liquid|ChuDat, IMT|Shroomed, ESE|Duck, OG|Swedish Delight, DIG|Lucky, G2|Westballz, ALG|n0ne, but there will of course be many, many more as well. Streaming is being done at C9|Mango's Twitch channel. Red Bull Kumite is back with its 2018 edition, this time taking place in the Fall instead of the Spring. The event is happening in Paris, France, and as usual there will be a ton of matches and some real good showmanship in between them. Fourteen players were invited, but only twelve of them could make it in the end — FOX|Tokido, Mouz|Problem X, FD|Fujimura, CYG|Daigo, UYU|OilKing, RB|Luffy, Liquid|Nemo, RB|Bonchan, Rise|Smug, AB|Poongko, AB|Gunfight and Filipino Champ. 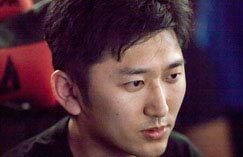 The other two invited players, PG|Infiltration and Rise|MenaRD, couldn't make it to the event due to ongoing legal issues in the former's case, and visa problems in the latter's case. PG|Infiltration was replaced with NASR|AngryBird, while Rise|MenaRD's spot will go to the Last Chance Qualifier, meaning there are 3 spots up for grab instead of 2. The first day of the event will host the Last Chance Qualifier where players will compete to get a prestigious spot in the Sunday finals alongside the 13 players already set to compete. Streaming is being done at Red Bull eSports. The International eSports Federation is back this year again with their big global finals, taking place this time in Kaohsiung, Taiwan. For those unaware, these tournaments function a bit more like traditional sports tend to with world cups and the like, where each country gets one player or team (depending on the game) as their representative, decided upon via qualifiers throughout the year. This year, like last year, the only fighting game present in the lineup is Tekken 7. With as many as 32 countries participating, there are a bunch of players looking to prove themselves on the world stage and bring home the gold for their homeland. Just a few of the players set to compete are South Korea's ROX|Chanel, Japan's Hakaioh, Indonesia's SOG|Meat, Malaysia's HXI|Zaba, Australia's Dee-On Grey and Sweden's Cyrox. The streaming action will take place at IeSF TV and TWFighter. The final online event of the Capcom Pro Tour is taking place today. This is the second, and last, tournament in the North America East region. Over 190 players have signed up in hopes of grabbing those last delicious points before the North American Regional Finals next weekend. Players set to compete include Ghost|NuckleDu, REC|Punk, Nephew, UYU|CoolKid93, CJ Truth, UYU|Brian_F, Wolfkrone, Terrence and many more. While streaming isn't set to start until top 8, you can follow along with the brackets at Smash.gg until then. Once top 8 begins, streaming will be done at Capcom Fighters. This weekend, the GameTyrant Expo 2018 is taking place. It's happening in Salt Lake City, Utah and will be host to tournaments in several games. At the event, you can expect to see tournament play for Super Smash Bros. Melee, Super Smash Bros. 4, Rivals of Aether, Dragon Ball FighterZ, Super Smash Bros. 64 and Tekken 7. 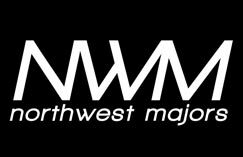 Players attending include Liquid|Hungrybox, C9|Mango, ExG|Wizzrobe, PG|Zain, Tempo|Axe, CLG|SFAT, UYU|Cloud805, Liquid|Salem, CaptainZack, G2|Westballz, Reynald, TNC|ARMY, Elegant, W2W|Mr. E, Captain L and many more. There's a whopping $7500 pot in both of the main Smash games, so there's some good money to be made for skilled players. Streaming is being done at GameTyrant and SSB 64. Tonight, Body Count Fighting 8 is taking place as a special streamed event, presented by Machinima. This will host a set of exhibition matches in Street Fighter 5: Arcade Edition and Injustice 2. The main attraction for the Street Fighter 5 sets is that they're doing a Next Level Battle Circuit versus Wednesday Night Fights style setup, meaning that it's basically a West Coast vs. East Coast event. The headlining set will be Rise|Smug vs. BCF|Commander Jesse, so look forward to that one in particular. Besides this, you can also expect to see CYG|Chris Tatarian, END|Shine, SB|JB, XSK Samurai, Idom, TS|Arturo Sanchez, Dankadillas, Pnoy, UYU|Kami, UYU|Lil Evil and several more, whereas Injustice 2 will feature Scar, Atai, DF|Grr, CLN|Whiteboi, Method|SylverRye and RLN|HeroKillerStain. Streaming is being done at BC Fighting. This weekend, the Capcom Pro Tour will be wrapping up its third out of four regions. The time has come for the Latin American portion of the Capcom Pro Tour to finish up, and it's taking place in Sao Paulo, Brazil. As with all the other Regional Finals, there's also an Open Premier event on the first day where people will be able to gather global points, and residents in the area will be awarded Ranking-tier points locally for a chance to etch their way in to the Regional finals if they're not qualified for it yet. As it stands right now, the top 8 competitors in the region who are looking to play in the Regional Finals are Brolynho, Furia|HKDash, RES|Pikoro, SB|DoomSnake, Keoma, OA|CrossoverRD, A7E|Maximof and Paulow3b, though this can change up. Rise|MenaRD and Rise|Caba were qualified, but are unable to attend the event, meaning their spots in the Regional Top 8 bracket are forfeit. As for the Open Premier, top players set to attend besides the Latin American crew include FD|Haitani, Mago, DNG|Itabashi Zangief, AB|StormKubo, iG|Jiewa and many more. Today, a suave invitational tournament was held in Tokyo at the Tokyo International Film Festival. This was a Dragon Ball FighterZ event featuring some of the very best the game has to offer. Held in a single-elimination format, it was a fairly quick affair to showcase the best of the best. As mentioned, this is an invitational featuring 8 players, referred to as Dragon Ball FighterZ Super Match. Players who participated in this event were FOX|SonicFox, CO|Go1, GGP|Kazunoko, NRG|HookGangGod, FT|Kaimart, R-Cade|Alioune, DO|Zer0q and KoreanWrestlingMan. You can find the stream archive right here. It was broadcast on the Dragon Ball FighterZ Twitch channel. The big one is finally upon us. 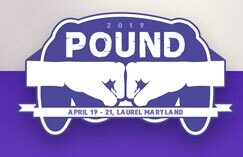 One of the most noteworthy and hype-filled events in the entire FGC is taking place this weekend. Yes, that's right, it's time yet again for Canada Cup to occur, this time in its 2018 edition. This is a massive event by all counts, and it's one of the last Capcom Pro Tour Premier events as well as the last Tekken World Tour event, though it's a Challenger event for that game. It's also a NeoGeo World Tour event for the King of Fighters titles present and features the Tournament of Legends for Super Street Fighter 2: Turbo. Also, let's not forget the massive international 5v5 tournament we see each year for the main Street Fighter game. Besides Street Fighter 5: Arcade Edition and Tekken 7, you can also look forward to tournament play in Super Smash Bros. 4, Dragon Ball FighterZ, Super Smash Bros. Melee, Soul Calibur 6, Super Street Fighter 2: Turbo, BlazBlue: Cross Tag Battle, Street Fighter 3: 3rd Strike, Guilty Gear Xrd REV 2, Ultra Street Fighter 4, Under Night In-Birth EXE: Late[st], Sailor Moon S, Pokkén Tournament DX, BlazBlue: Central Fiction, Ultimate Marvel vs. Capcom 3, King of Fighters 14, Marvel vs. Capcom: Infinite, Injustice 2 and King of Fighters '98: The Slugfest. Players attending include FOX|SonicFox, FOX|Tokido, Liquid|Hungrybox, FD|Fujimura, Ghost|NuckleDu, CYG|Daigo, TSM|Leffen, FOX|Justin Wong, CYG|Fuudo, GGP|Kazunoko, Liquid|Nemo, Mouz|Problem X, CO|Dogura, Gachikun, DouyuTV|Xiao Hai, NVD|Phenom, NRG|HookGangGod, CYG|Chris Tatarian, FAV|Sako, Yamasa|Nobi, Ponos|Moke, CYG|GamerBee, EQNX|JoeyFury, FOX|Momochi, ALG|n0ne, EQNX|Dimeback, LostSoul, EMG|Mistake, BC|Mr. R, AB|StormKubo, Yamasa|Take, UYU|Fergus, ESE|Duck, 1UP|PepperySplash, PG|Speedkicks, FNATIC|Akainu, ESE|ANTi, Ally, NRG|Supernoon, Fiction, Shadow20z, AE|Pekos, W2W|Bladewise, Teemo, ESE|RunItBlack, EMG|Moky, Binchang, MnT|Trungy, Joonya20z, Abel Del Maestro, Ryan Ford and many, many more. Streaming is being done at Capcom Fighters, Canada Cup Gaming, Canada Cup Gaming 2, Canada Cup Gaming 3 and Canada Cup Gaming 4. Today, we've got a nice event coming up from the Brazilian Street Fighter community. Campeonato Brasileiro de SFV has been an ongoing league in Brazil that players have been able to qualify for, and the finals with the top 8 players is taking place today, in Curitiba, Brazil. This is a one-day event, and there'll be a few hours of casuals before the actual event kicks off. The top 8 bracket will start off at 8 PM local time. The 8 players who have qualified for this event are all names that you should be familiar with if you've been following the Capcom Pro Tour, since they're all mainstays in the high ranks in the Latin American region. These players are Brolynho, Furia|HKDash, Keoma, Paulow3b, AAG|Pr3da, Arthuro-Ray, TPT|Stunner and AAG|Shingolex. Streaming is being done at Kombat Klub. East Coast Throwdown 2018 is taking place this weekend in New Jersey, U.S.A. This is a Capcom Pro Tour Ranking event, in fact, it's the final offline Ranking Event of the season, with only a few Premiers, Regional Finals and one online CPT event left besides it. Also, this is the Last Chance Qualifier for the Injustice 2 Pro Series this year, the finals of which are happening on November 13th, so this is a very important event to grab that final spot. It's not just about Street Fighter 5: Arcade Edition and Injustice 2, though. This event will also feature tournament play in Dragon Ball FighterZ, Soul Calibur 6, Tekken 7, Super Street Fighter 2: Turbo, Street Fighter Alpha 2, BlazBlue: Cross Tag Battle, Guilty Gear Xrd REV 2, Fighting EX Layer, Capcom vs. SNK 2, Street Fighter 3: 3rd Strike, Vampire Savior (Darkstalkers) and Marvel vs. Capcom: Infinite. Notable players participating include FOX|SonicFox, Ghost|NuckleDu, REC|Punk, NRG|HookGangGod, EG|NYChrisG, CYG|GamerBee, CYG|Chris Tatarian, FOX|Dekillsage, SB|JB, PG|Nakkiel, Toi, Idom and many, many more. Streaming is being done at Team Spooky, NetherRealm, KPB Live, NYC Furby and TSB Blaze. JAM Festival 2018 is taking place this weekend in Lago Norte, Brazil. This is the final Capcom Pro Tour Ranking event in the Latin American region, meaning that this will solidify most of the ranks in advance of the Latin American Regional Finals, with only the Last Chance Qualifier left for hopeful players. Although it's mainly a Street Fighter 5: Arcade Edition event, with over 60 players participating, there will be other games played as well. You can look forward to tournament play in Dragon Ball FighterZ, Tekken 7, Super Smash Bros. Melee and King of Fighters 13 as well. They will also be playing the Top 16 of a local Brazilian league, called Jam Pro League 2018, for Street Fighter 5: Arcade Edition on the Friday. Players attending include DNG|Itabashi Zangief, Brolynho, FURIA|HKDash, Keoma, SB|DoomSnake, Paulow3b, AAG|Pr3da, TPT|Stunner, Umbrella|Dark, AAG|BabyBrasil, Shodown|ChuChu, FCBR|Ramon, Shodown|Zenith and many more. Streaming is being done at JAM Play. The Tekken World Tour of 2018 is very close to drawing to an end. This is the final European Challenger Event for this year's tour, taking place in Berlin, Germany. Berlin Tekken Clash 2018 is also the second-to-last event to gain points at at all, with the only remaining event before the finals being Canada Cup 2018 next weekend, which is also a Challenger Event. With 127 entrants, the pools are completely stacked, with many participants looking to this event to solidify their entry into the Finals come December. Players participating include CGG|Tissuemon, UYU|Fergus, Crazy|SuperAkouma, EQNX|Dimeback, Asim, DO|Sephiback, DG|RooKang, Exeed|Ghirlanda, SNG|Blackbeard, 4G|DevilKazuya DanielMado, HG|Mitrust-Storm, 200K|SignorFarfalla and many more. Streaming is being done at Berlin Tekken Clash. 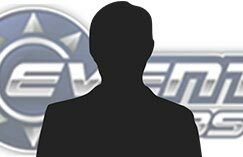 MASTERCUP 10 is back upon us yet again, and is stacked as always. This Japanese mainstay event is one of the most prestigious Tekken tournaments out there, and a ton of players have shown up to compete. It's a 5 vs. 5 team event with plenty of stacked groups, the complete list of which you can find here. In total, 224 teams are partaking, meaning this event is host to a whopping 1120 players in total, as crazy as that sounds. It's a one-day event, so there'll be non-stop action from start to finish, and if you enjoy team-based events, this is the best action you'll see all year for Tekken. There will also be a second day event called MASTERCUP Try, where Japanese players will compete for a Pro Gamer License. 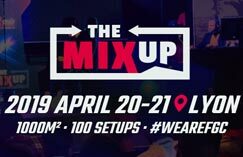 Players set to participate include ROX|Knee, UYU|Qudans, UYU|Jeondding, Kkokkoma, ROX|Chanel, Fursan|LowHigh, Yamasa|Nobi, Fursan|Rangchu, Yamasa|Take, AE|Pekos, Yamasa|Yuu, WG|Furumizu, Double, UYU|Yuyu, RB|Tanukana, CherryberryMango and many, many more. Streaming is being done at MASTERCUP Channel in Japanese and Anime Illuminati in English. Even though the Capcom Pro Tour is nearing the end of its run this year, we're not quite there yet. This weekend, another CPT-designated event is taking place, this time in Buenos Aires, Argentina. This is a Capcom Pro Tour Ranking event, so points are still on the line, and since we're nearing the end, they're more important than ever before. Besides Street Fighter 5: Arcade Edition, this event will also feature tournament play in Dragon Ball FighterZ, Tekken 7 and Guilty Gear Xrd REV 2. As for players participating, you can expect to see Furia|HKDash, Umbrella|Dark, AAG|Pr3da, 2DR|YoungHou, Misterio and many more. Streaming is being done at UAFG.